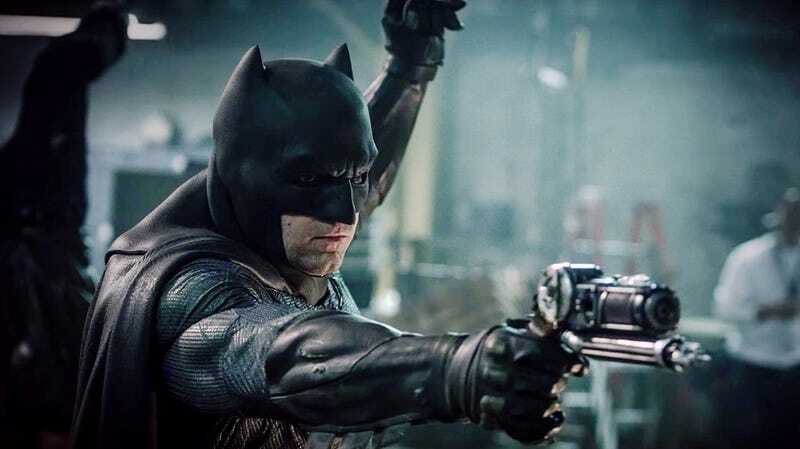 Batfleck points a grapple gun at the rumor mill. Director Matt Reeves has so far been pretty hush-hush about plans for his upcoming DC Entertainment film, The Batman. Finally, he’s opened up about the movie’s status, what role Ben Affleck might play, and the story we can expect. In short: Don’t believe those Year One rumors. After a Television Critics Association panel about his Fox vampire series The Passage, Reeves finally gave a long-awaited update about how The Batman is coming along. As reported by /Film, Reeves said he’s working on getting the first draft in the next couple of weeks, after deciding not to go with Affleck’s version, and hopes to begin filming spring or summer 2019, though there’s no official production start date at this point. Reeves is still working on his Batman story arc, but said he’s making a “very point-of-view noir-driven definitive Batman story” where the Caped Crusader is investigating a case that takes him into the heart of Gotham. Reeves said he performed a “deep dive” into all his favorite comic books to inform the journey his film is taking. He also confirmed that not only is The Batman not an origin story or a continuation of the Christopher Nolan saga, it’s also not based on any specific comic—in particular, the Year One arc, squashing rumors that were making the rounds last week. Of course, one of the biggest lingering questions has been: Is Batfleck removing the cowl? Reeves said he’s talking with Affleck but wouldn’t answer questions on what role he’ll play in The Batman, if any. It doesn’t sound like Affleck has left the Batcave for good, and Reeves has previously insisted that The Batman takes place within the DCEU. But Reeves’ latest statements are more coy about the subject, which could be leaving the door open for someone else to assume the role.